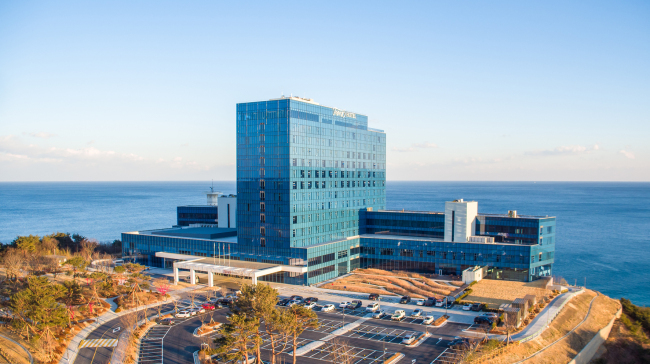 On the east coast of Korea, Hotel Tops 10 is vying to become the No. 1 holiday spot this summer. Since its opening in last December, the hotel has made its presence in the high-end hospitality scene, preferred for its location and service. With more facilities opening in July, the hotel hopes to further fully satisfy its guests. Geumjin Hot Springs, using local thermal water will open, along with Aqua Park, VR Zone, Kids Zone, Golf Zone and a karaoke. On Saturday, a DJ party will be held at the hotel’s Sky Lounge rooftop. Visitors will be able to enjoy exciting music and a satisfying buffet dinner, along with the scenery of the night ocean.